Mallets - everything at Guaranteed Lowest Prices. 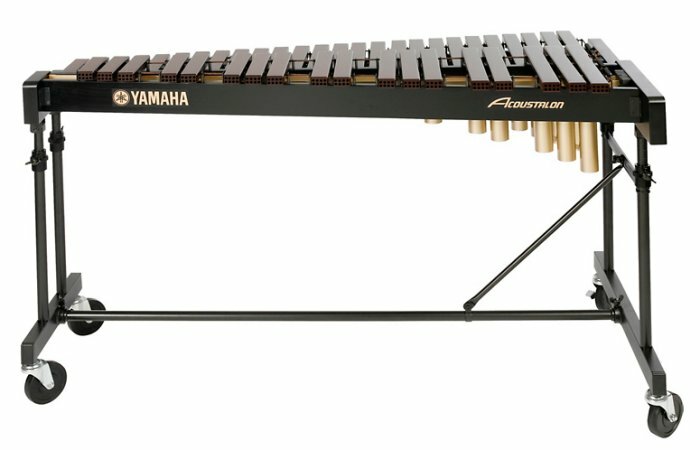 f you are looking for a xylophone that looks and sounds like it should cost a fortune but really doesn't, the Soloist Synthetic series xylophone is what you are looking for. It features bars constructed of an extremely durable and warm sounding synthetic material. This is a great option for budget conscience schools looking for an instrument for both concert and marching band use. The 3.5 octave Bars are uniform in width but offer the same precise tuning and voicing as the other soloist Series Xylophones. Because they are tuned through the sixth overtone, this instrument offers complete control over all aspects of the sound. Precise tuning and voicing provides for balanced sound through the entire range of the instrument. For ease in storage and transport, the resonators and rails fold in half. The Patented Voyager frame system allows effortless adjustment to a wide range of playing heights Mallets are included so that everything you need to get started and protect you investment is at your fingertips. The Innovative Percussion IP901 Soft Xylophone Mallets from The James Ross Concert Series have been designed for Chicago Symphony Orchestra percussionist James Ross and to meet the demands of today's orchestral percussionist. These mallets have a durable rattan handle and a soft ball end. They are suggested for use on glockenspiel selections such as Debussy's "La Mer" and Grofe's "Grand Canyon Suite". Suggested selections for xylophone include Debussy's "Iberia" and "Jeux". Medium-hard felt head mallet for soprano and alto xylophones.